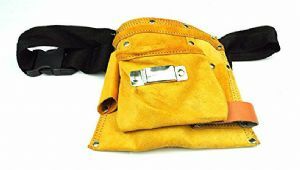 Suede leather pocket tool pouch and belt. Max length of belt 139cm so perfect to use if you have had a big Sunday dinner and also can be tightened for the tiny waist or salad days. This has plenty of pockets and is made really well.